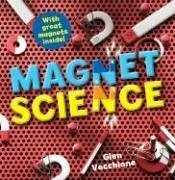 This appealing kit is absolutely guaranteed to attract kids' attention with its entertaining activities, tricks, experiments, crafts and a variety of magnets. Children will discover what role magnets have played in space exploration, tape recordings, computer disks, medicine and many other important areas. This title isn't just fun - it teaches good science.